After Brexit, there is no guarantee that the major powers in NATO and the EU will agree on how to respond to future crises. At a summit in Brussels on March 22, EU heads of government will issue a statement of solidarity with the United Kingdom following the recent nerve agent attack on double-agent Sergei Skripal in Salisbury. This statement of support follows similar strong declarations by NATO and the EU’s Foreign Affairs Council. It is still not certain what additional action may be taken by the alliance or the EU, as it is not yet clear how the UK government will further respond to the attack, beyond having already expelled 23 Russian diplomats. However, as UK Foreign Secretary Boris Johnson put it, London greatly welcomes the “unqualified solidarity” from the EU and NATO and their requests that Russia provide a full and complete disclosure of its Novichok nerve agent program. But how would NATO and the EU react to such an incident after Brexit? The United Kingdom will leave the EU in just over a year, and its departure raises a host of tricky questions for the future strategic alignment of the union and NATO. This is partly because the UK, currently the largest European defense spender at NATO, will remain a major European military power, despite Brexit. Although the EU and NATO are very different political bodies, their memberships largely overlap—21 countries will remain members of both after Brexit. In addition, since the 2016 NATO Warsaw summit, the alliance and the EU have been trying to work much more closely together on a number of security issues. These include maritime policing, cyber defense, strategic communications, and military mobility across Europe. But these are miniscule developments compared to the full range of security challenges that Europeans face. Formally, after Brexit, the UK could no longer invoke help at the EU decisionmaking table, such as imposing new sanctions—though it could probably still ask for assistance through other channels (for example, via post-Brexit EU-UK consultation meetings). Strictly speaking, the EU would have no obligation to help the UK. This is similar to how NATO has no formal obligation to protect EU countries that are not members of the alliance, including Austria, Finland, Ireland, Malta, and Sweden. Sweden, for instance, is introducing a new “total defense” plan to defend against a military invasion, partly based on their assumption that a coalition of allies would not be able to help for up to three months. That coalition might consist mainly of NATO members, but it would not formally be an alliance action. For both the EU and NATO, membership has to matter. But as prospective scenarios in the UK and Sweden show, both organizations would be strategically and politically wise to consider together how far non-membership lines should be informally blurred, and how they should jointly respond to future crises in countries where membership does not overlap. European countries may still act through other clusters, but this would be to the detriment of both the alliance and the EU. Given this lack of clarity, Russian President Vladimir Putin would be tempted to test both institutions’ resolves, if an opportunity to create formal divergences between the organizations presented itself. In addition, Russian tactics, often called hybrid warfare, require a wide range of responses, covering both NATO’s military and the EU’s non-military competences. However, there are other grounds on which NATO and the EU should work harder to align their security efforts. The EU should be as prepared to respond to a nerve agent attack in non-EU NATO members, such as Norway or the United States, as it has been in the UK. Not only because this would be a breach of international law. But also because attacks like the one in Salisbury exposes the vulnerability of all EU and NATO countries. Likewise, NATO should be ready (at least) to informally coordinate a military coalition, if needed, to help a non-member like Sweden or Finland in the event of an invasion from an “unspecified foreign adversary,” as the Swedish Defense Commission describes that threat. This is not only for political purposes but also because such an action could geostrategically cut off NATO members, such as the Baltic States, from military assistance. If NATO and the EU do not hang together after Brexit, there are potential dangers for both organizations. Following Brexit, 80 percent of NATO defense spending will come from non-EU members. 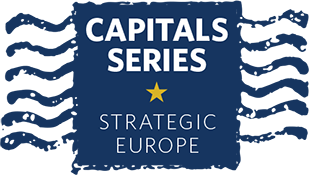 For the EU, the danger is that serious strategic conversations will increasingly take place at NATO or in other formats, such as ad hoc initiatives or bilateral relationships. For NATO, the danger is that an acrimonious Brexit could encourage an Anglosphere-versus-Eurosphere split, with the United States and the UK on one side, and France, Germany, Italy, and Spain on the other. Similar to the bitter splits over the 2003 invasion of Iraq, this could potentially force other European governments to choose sides. Much will depend on the attitudes of the bigger powers in both organizations. The firm joint response of France, Germany, the UK, and the United States to the Salisbury attacks is encouraging because they will form the political and strategic center of the future EU-NATO relationship. Nevertheless, NATO Secretary-General Jens Stoltenberg and EU High Representative Federica Mogherini should work harder to ensure future strategic alignment between both bodies. In the early 2000s, the then NATO and EU chiefs (George Robertson and Javier Solana, respectively) regularly made joint statements and visits to crisis zones. It is a shame that Stoltenberg and Mogherini did not make a joint statement after the Salisbury attack. After Brexit, EU-NATO strategic alignment will likely become more difficult and evermore necessary. There is no guarantee that the major powers in both organizations will agree on how to respond to future crises. However, leaders in both institutions could at least encourage those governments to align by responding in concert. Daniel Keohane is a senior researcher at the Center for Security Studies at ETH Zürich. Glad to see you still banging this drum, Daniel. Like you I welcome the regular pronouncements of warm words by the senior officials of NATO and the EU, as well as the declared intention to co-operate more closely in - as you say - limited areas. But it is a far cry from what was envisaged and signed up to by leaders in Annex VII to Annex VI of the Nice Treaty in 2001 and the parallel declarations in NATO. Regular meetings of the NAC and PSC, intensifying in times of crisis to decide how best to respond? The Berlin Plus arrangements designed largely to bring coherence to the two organisations' strategic planning? All these hard-won agreements have been allowed to wither on the vine for various reasons. France was at the time of the Nice Treaty strongly opposed to closer links to NATO, a stance that has greatly improved since Sarkozy's brave move to return to the military structures in 2009. Turkey and Cyprus remain the major stumbling block but frankly, given the changes in the strategic environment, they should no longer be allowed to hold us hostage. The institutional rivalry, or tribalism between the institutions themselves has always borne some of the blame. Solana was something of a touchstone, having held both NATO and EU top jobs, his successors have had less time for the challenges and complexity of the relationship. The UK's absence from the EU table will, if it happens, be a significant blow to the prospects for improvements. Already the launch of PESCO, with its undemanding participation criteria, focuses the EU's attention on "cuisine interne" rather than the need for coherence with an organisation that shares an overwhelming proportion of its membership. Future challenges are, as you say, going to need both organisations to play to their strengths and to do so with clear, shared strategic goals. That's not going to happen unless the Allies and Member States start demanding better progress, along with the attendant consequences for those responsible if results are not forthcoming. The British Isles are part of Europe, even if the Continent is isolated by a deep sea. To settle the main topic, NATO membership should suffice, although Afghanistan shows different. EU members aligned with the UK on Skripal, former Russian intelligence officer, British double-agent, exchanged in 2011 from a Russian prison. This is the right type of solidarity. It was not the same when Germany and others accepted close to a million refugees from the former Sykes-Picot imperial space, while Interior Minister May and PM Cameron talked about 20K Syrian refugees. It is only the beginning; the Club of Rome envisioned reality is descending upon the planet. In or out, the UK must change the refugee policy. It has to be more: Ukraine. There are serious obligations incurred as a signatory of the Budapest memorandum, as well as participation in any integration funds for Ukraine (hundreds of billions over the next decade). Pax melior est semper, but this article is not about peace. In terms of military power, the US welcomes any help, but in Afghanistan (Article 5) and Iraq the presence is very limited; South China sea, Arctic Ocean, ABM defense, limited participation. Sweden talks about popular war against any invader, a la Swiss people, and that is the right way to go, including all other states at the Eastern NATO border (with NATO air power). However, it is inconceivable that any attack will begin with a landing in Sweden. “Such an action could geostrategically cut off NATO members, such as the Baltic States, from military assistance” is geographically incorrect. Sweden must be prepared to execute offensive operations in support of NATO, opening a new front, forcing the “unspecified foreign adversary” to dilute its forces. Same would apply to Finland, with immediate support from Denmark and Norway. All need to be ready to participate in the newly open Arctic Ocean battleground, immediately, not waiting for anybody. It is time that everybody understands that the US youth can’t be expected forever to borrow money not just for student loans ($1.31 trillion, 11% default) but also to make the wealthy Europeans feel more secure. Unfortunately, even if they do, and their parents accept Social Security/Medicare cuts, and Puerto Rico waits for years to get electricity back, the EU NATO members will never feel protected enough. As civil society to civil society, will Europe ever accept that at one point a US president will look first home? (a total TTIP would be better). If there is a hard acrimonous Brexit and a punishing stance taken by the EU Britain in my opinion would find it very difficult to remain in Nato. The reasons could be twofold unable to use EU airspace as pilots are not licenced and british attack and support planes are not allowed in the EU airspace also as they are not licenced to travel through this as there service and safety regimes are not recognized, similar restrictions may affect Naval and road/rail making british support to Europes defence almost impossible in the field. Secondly why would you support nations that are against you ecconomically and possibly putting soft sanctions against your country with economic restrictions. Its not you're either with us or against us as the old saying goes but ' why should we with you when you are against us' The europeans need to think this out before they give britain the boot if all goes a bit 'Hairy' by my reckoning its all good to assess the affects of brexit, but be wary of the Politics of reality should the turn sour.